Fulvio Bianconi. 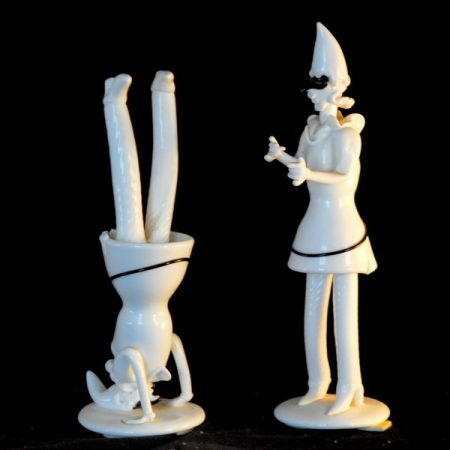 Two Tiepolo group figurines. Pulcinella. 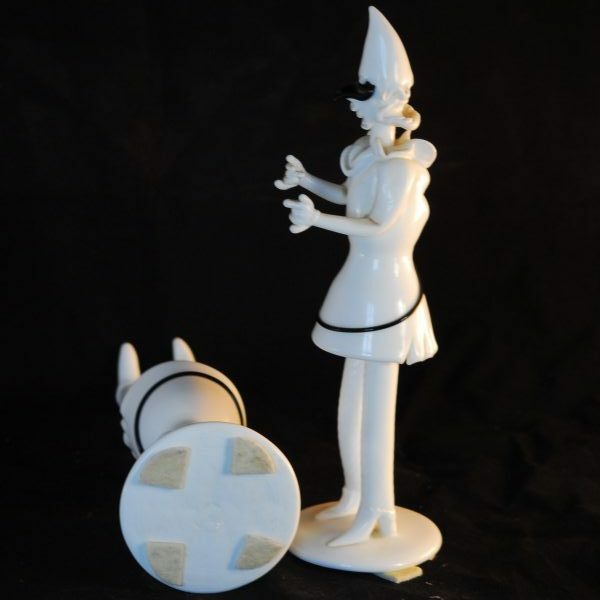 Pair of white lattimo figurines. Fulvio Bianconi, designer at Venini. Very good detailed quality. 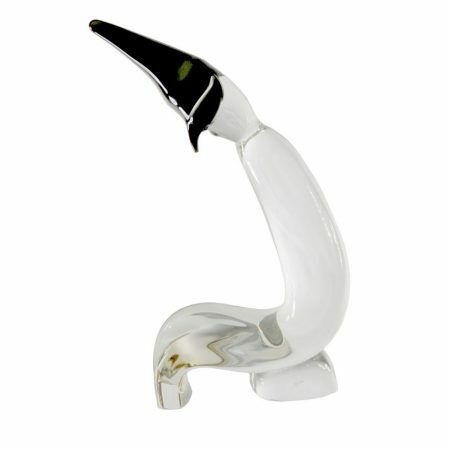 White lattimo glass with black applications. 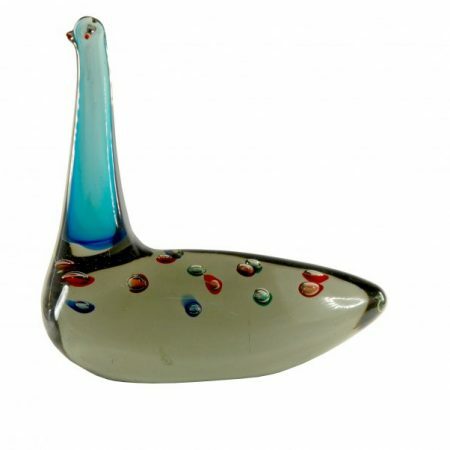 The famous tiepoleschi designed by Fulvio Bianconi. Lattimo glass with black accents. Base and other identifications and references: No label. No signature on the base. The finesse of working indicates that they are made by the same maestro who worked with Bianconi. 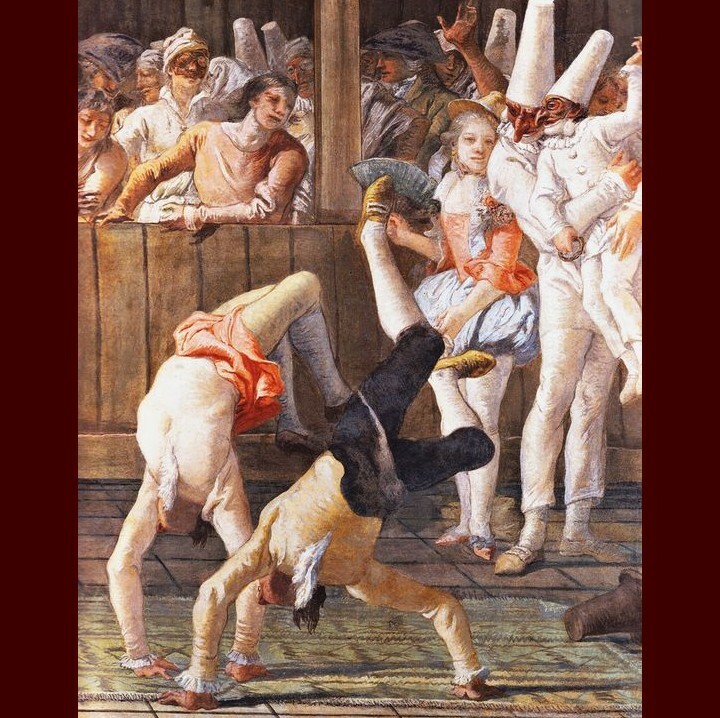 The collection was inspired by Tiepolo’s paintings and watercolors, in particular the Ca’ Rezzonico fresco of the dancing Pulcinella. Evaluation assessment: by the finesse of the pieces and the quality of execution. Also it’s rare to find a set. Measurements: Height circa 27 cm, about 11″ for the standing figure. Circa 25 cms, about 10″ for the other. Condition: Pristine. No aging signs detected. Antonio da Ros at Cenedese, commedia dell’arte, clear and black pulcinella. 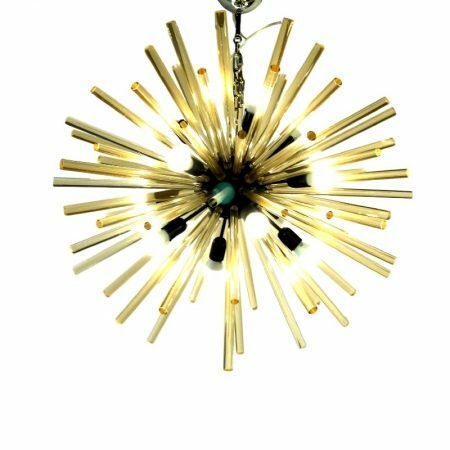 Mid century “Sputnik” chandelier, golden glass rods. Alberto Donà furnace. 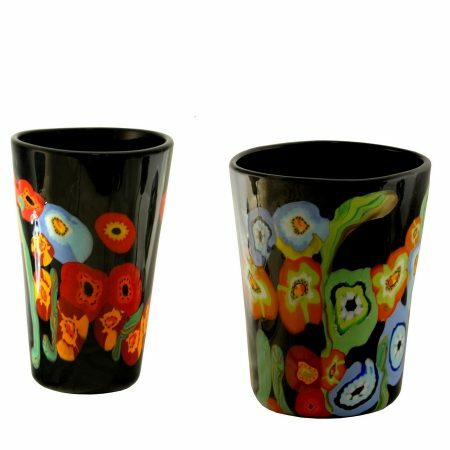 Hans Peter Neidhart at Pavanello, Pansy and Poppy pair of vases, black background.